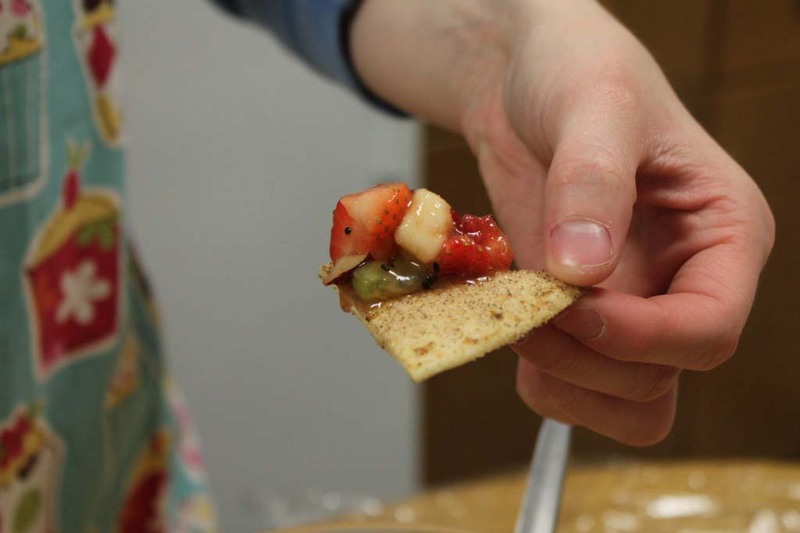 Graham crackers (any brand) check. Marshmallows (any brand), check. Hershey’s chocolate check. These are the components of the highlight of our camping trips. 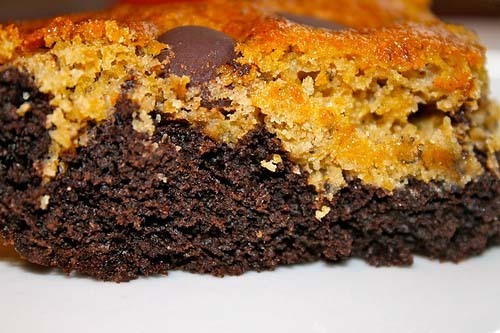 Three of my four children dream about golden goodness oozing from a graham cracker dripping with chocolate. 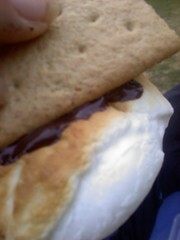 Now I might be dreaming of Smores, too. My dear husband took mental notes on our last camping trip when I said, dark chocolate would be awesome. He furnished our smores box with one bar of Hershey’s dark chocolate labeled: Mom. Isn’t he a husband worth cherishing? 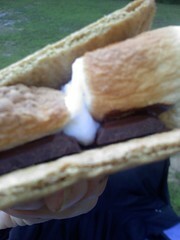 When I opened the box, there it was calling my name for a smore to die for. The fire was blazing and ashy, the perfect temperature for roasting the perfect marshmallow. I do not like flaming marshmallows, although some do not have the patience for waiting for golden goodness that will instantly melt dark chocolate bars. 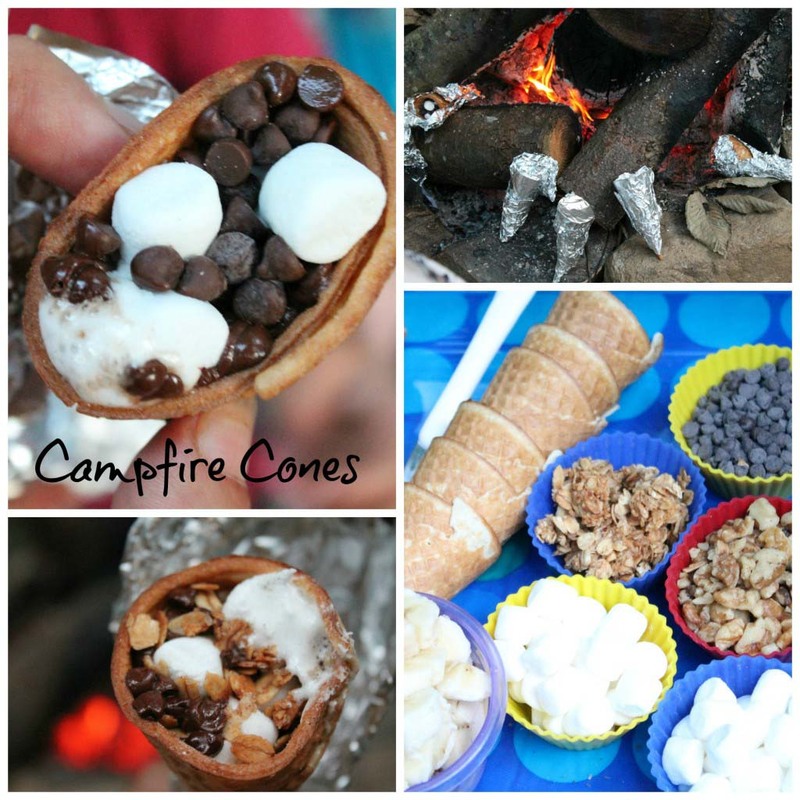 Because we camp quite often in the summer, I’m sharing my version of dark chocolate smores that can be made by a camp fire or home fire pit, your choice. Don’t rely on a microwave for a taste like this. If you’re like me and pack everything, but the kitchen sink, because our little camper already has one, then you’ll forget the metal skewers for smores. But, hey finding a long stick in the great outdoors is much more fun and an adventure for the kiddos. 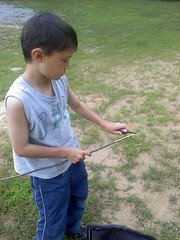 My oldest son is practicing his Boy Scout skill with his new Swiss Army knife. My retired Army dad and brother would be proud. 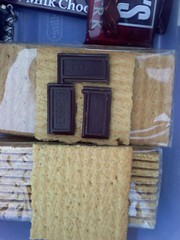 Ladies, get your three DARK chocolate rectangles on a half of a graham cracker. Set it by the fire on a rock if you have one. 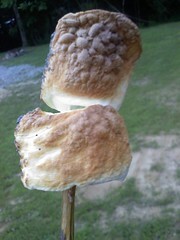 Toast-not roast, your two marshmallows without burning. This is what I call golden goodness. 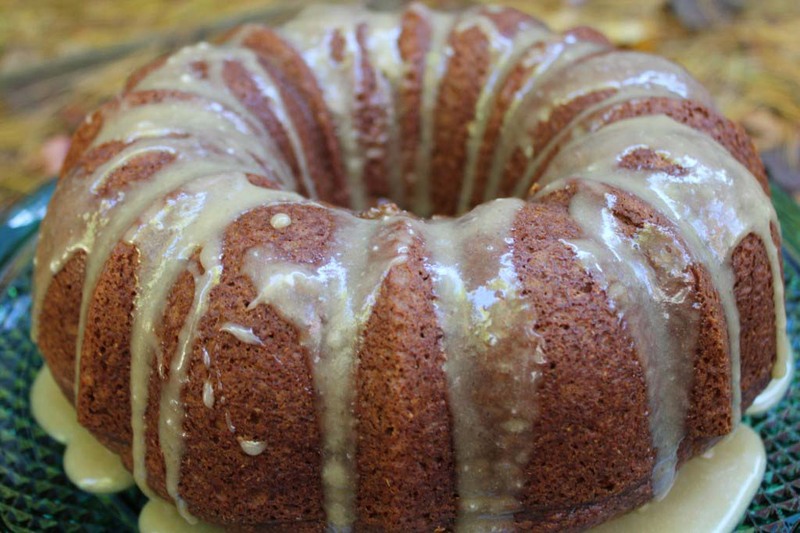 Toasty on the outside and ooey, gooey and melted in the center. It will melt the chocolate. There, perfect! Ready to eat. Did you notice it’s daylight, not your typical smore roasting time. We’ve learned to indulge in this amount of sugar EARLIER so the kids get it out of their system. That’s why it’s daylight around the Brown campfire, and hey, we got better pictures for you. When you get home replenish your smores box for the next camping or outdoor or backyard adventure. 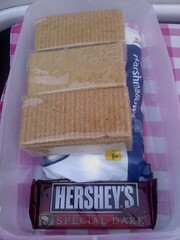 This entry was posted in Desserts and tagged camping and smores, perfect dark chocolate smore recipe, smore box on 22.06.2011 by admin. Thank you for visiting. You don’t HAVE to have a fire. 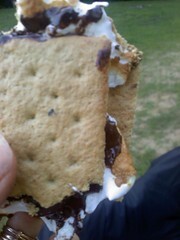 Our VBS kids just had one today with frosting, marshmallow and graham, but it’s still not the same! Have a blessed day. If we are out of firewood (or just don’t have the time to build a fire), my son and I will sit out on the deck with one of my 3-wick candles and roast marshmallows over it. Great idea and quick way to roast a marsh!